A slow start and now a cooler summer in Minnesota for 2013. Here are the switchgrasses that are the best looking so far: Rotstrahlbusch; Prairie Sky, Cheyenne Sky,(pictured) a nice combo of purple and green and medium size; Prairie Fire, also very showy; Shenandoah and Rehbraun. 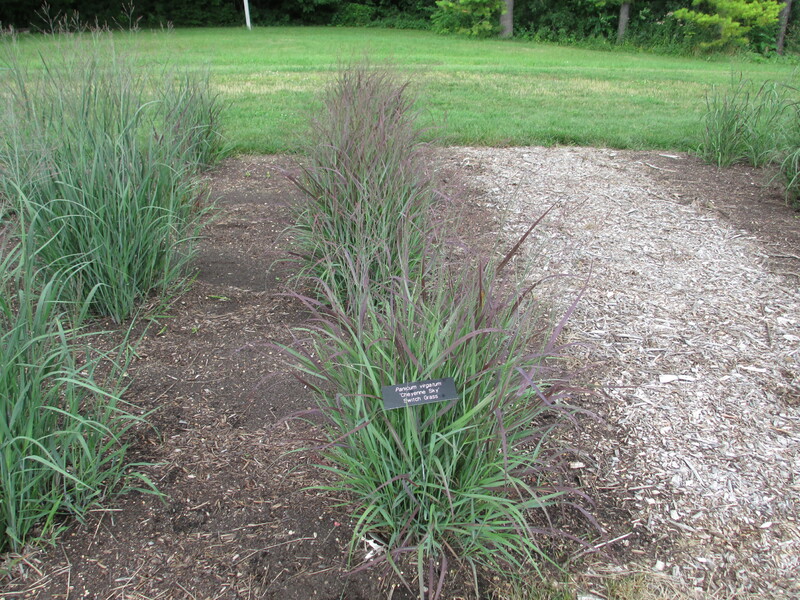 Little bluestem is similar in cultivars, quite blue, however Blue Heaven is taller, but no flowers on any little bluestems in Minnesota trials yet.